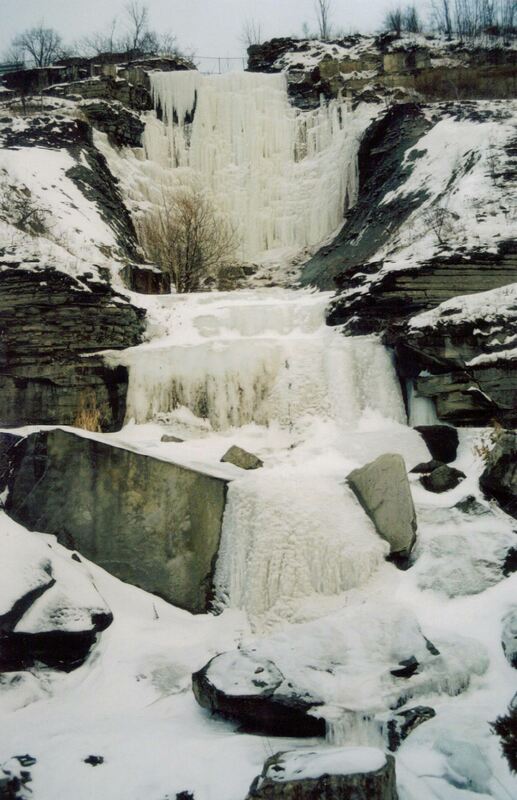 Lower Princess Falls, also known as Princess Falls, is 39 metres (130 feet) in height and its crest width is 3 metres (10 feet). It is a complex ribbon cascade and plunge falls. Lower Princess Falls is also the second highest waterfall in Hamilton. Lower Princess Falls is actually the lower section of the total Princess waterfall system. 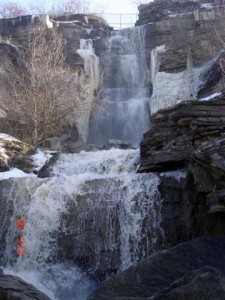 The upper section is called Upper Princess Falls or Princess Falls. 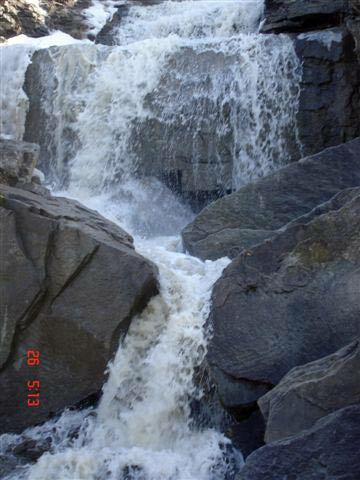 This waterfall is considered two separate waterfalls because the two parts cannot be seen together from one location. 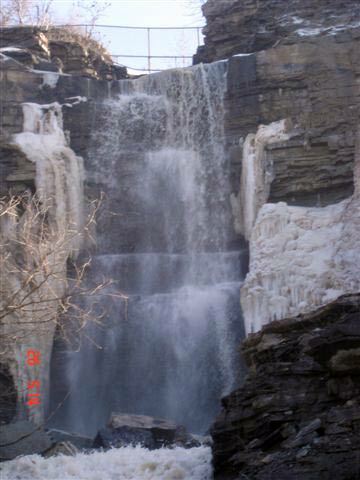 The Upper and Lower sections are separated by the Chedoke Radial Trail. At this time we do not know how this waterfall system became known as Princess Falls, thus more research is needed to find out. 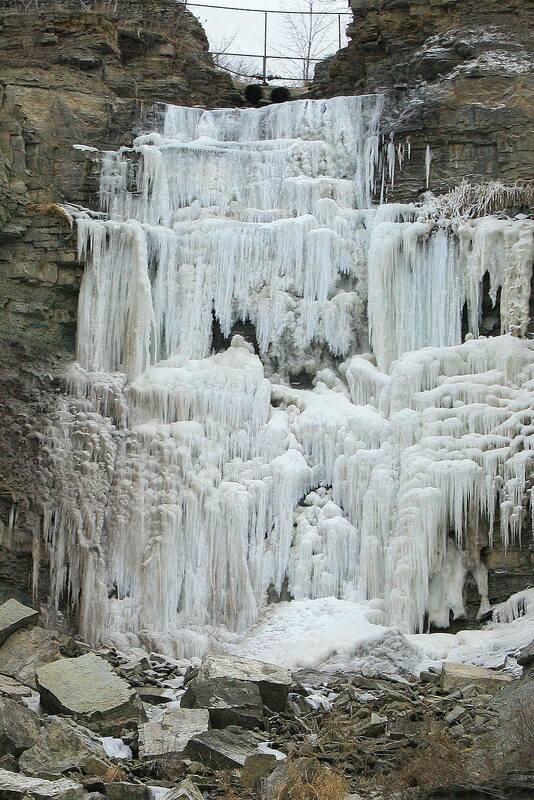 Lower Princess Falls is also mentioned on the “Waterfalls of Hamilton- Autumn” poster by Joe Hollick. 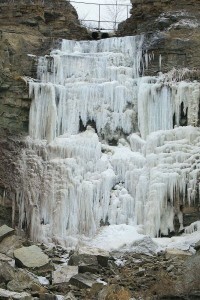 Lower Princess Falls can be seen from Highway #403 as you drive the Niagara Escarpment up-bound. 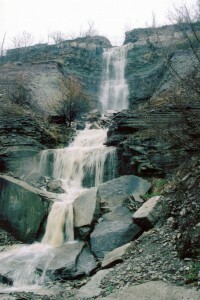 You cannot see Upper Princess Falls from the highway. Because thousands of motorists drive this highway daily, Lower Princess Falls is considered the most viewed waterfall in Hamilton even though it is dry about half of the time! Access to this waterfall is difficult.